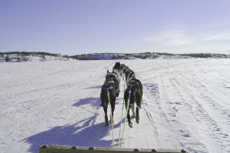 Learn the art of dog sledding from the best Alaskan mushers, right in Anchorage! Husky Homestead THIS was our favorite -- YES, we held puppies!! !